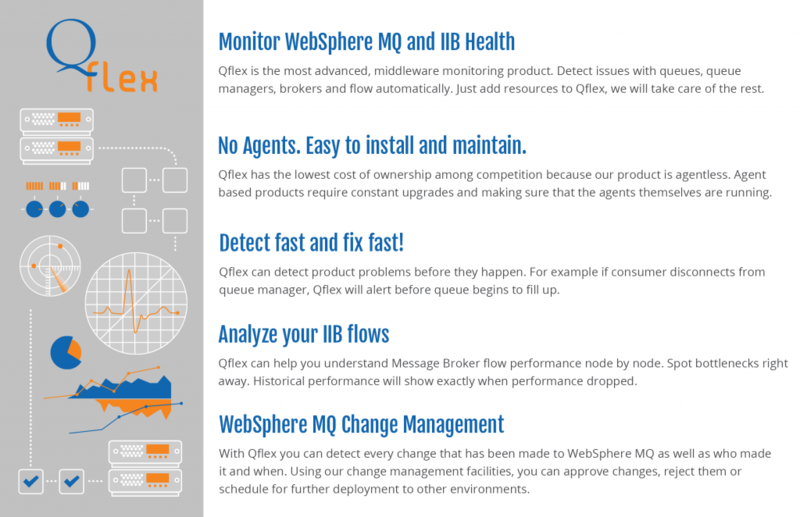 We are happy to announce another minor release of Qflex Websphere MQ and IIB monitoring software. Patched incorrect handling of SMTP alerts with empty email body. Fixed issues referencing IIB broker webadmin credentials. Fixed markup errors on maintenance window page for multiple qmanagers.